For policyholders, there’s only one thing that really matters when it comes to dealing with their insurance carrier; how fast can you help them get their life back to normal after they’ve submitted a claim? This means that as an insurer or vendor, your number one focus should be around helping policyholders get that relief as quickly and easily as possible. This is why your claims and estimating teams need to be super-efficient and utilize the best tools available to help them do so. Here at Symbility we understand that need. That’s why we’ve spent more than a year listening to our customers, thinking about what they need, developing, testing, reworking, and repeating that process numerous times to get us to where we are today. And we are excited to have revealed a whole new way for you to have clarity around your claims process, allowing you to resolve claims, faster, easier, and more efficiently. Introducing the all new Symbility Claims Connect beta. We’ve completely revamped almost every aspect of our cloud-based claims workflow platform to make sure that everyone involved in the process knows what needs to be done and is always up-to-date with the information they need, when they need it, so that claims will always move towards getting policyholders’ lives back to normal. The first thing you’ll notice with the all new Claims Connect is its beautiful new look and feel. Not only has the look changed to be more appealing to your eyes, but it also allows Claims Connect to be more useful to you. The new layout’s use of color makes important information easy to find at just a glance. Color is used to code and highlight important things, such as claim statuses, so that you can always find what you’re looking for quickly. 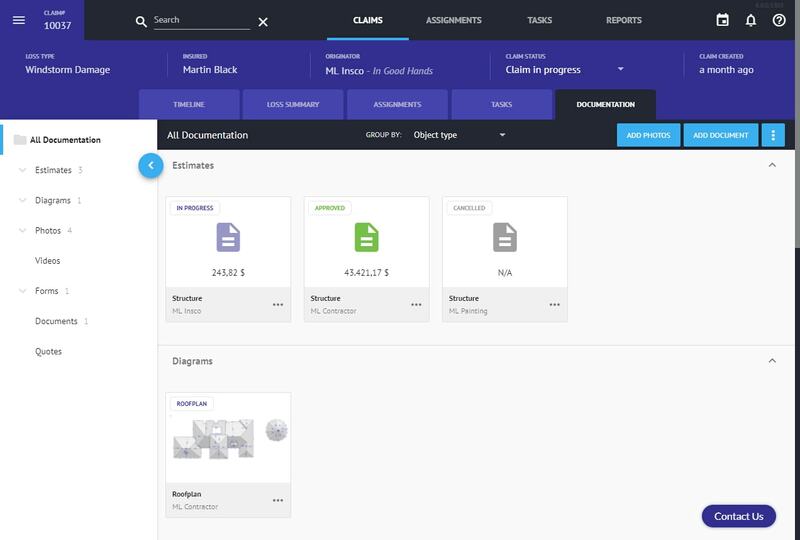 Not only has the look of Claims Connect changed, but the way the system works has also been completely redesigned. No longer will your teams need to figure out where a claim is in its journey to resolution and what their next steps should be. 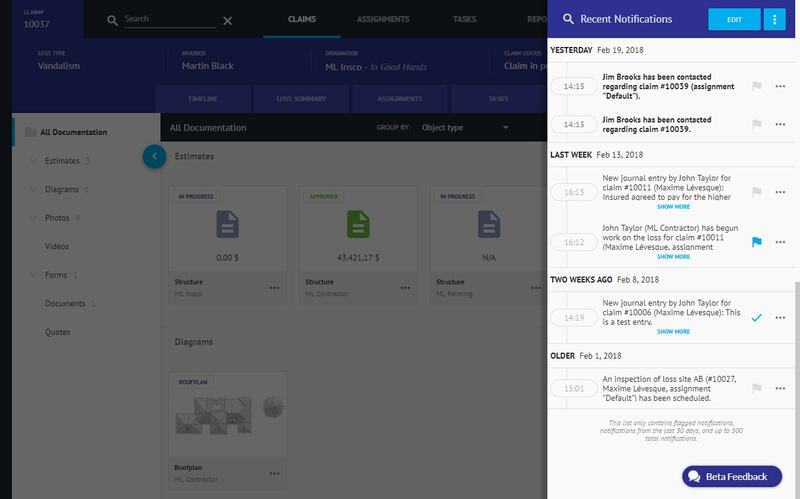 Using a new rules-based engine, Claims Connect automatically surfaces, prioritizes, and prescribes your next actions for a claim, ensuring that you never lose track of what needs to happen next with all the claims on your plate. 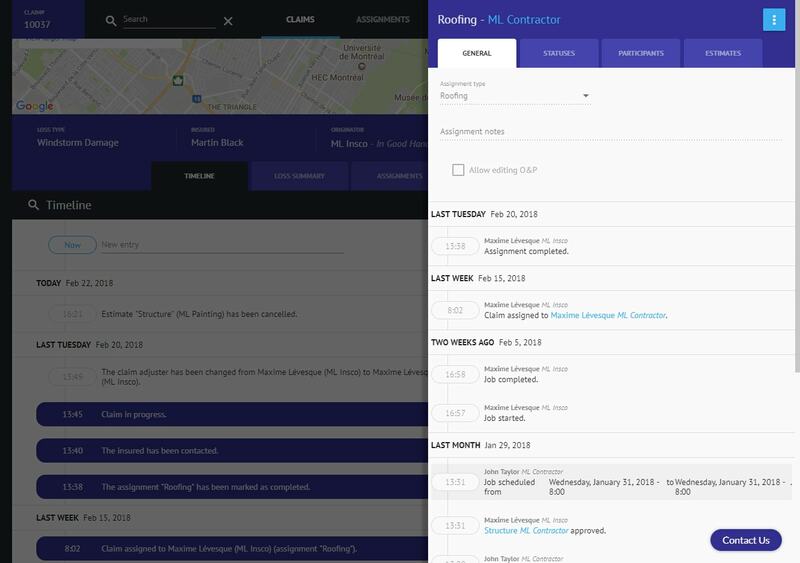 The user interface of the new Claims Connect makes it simple to take actions on claims. Contextual actions can be taken from almost any page on the platform using our all new “Blades” system, eliminating steps and confusion, saving you time. 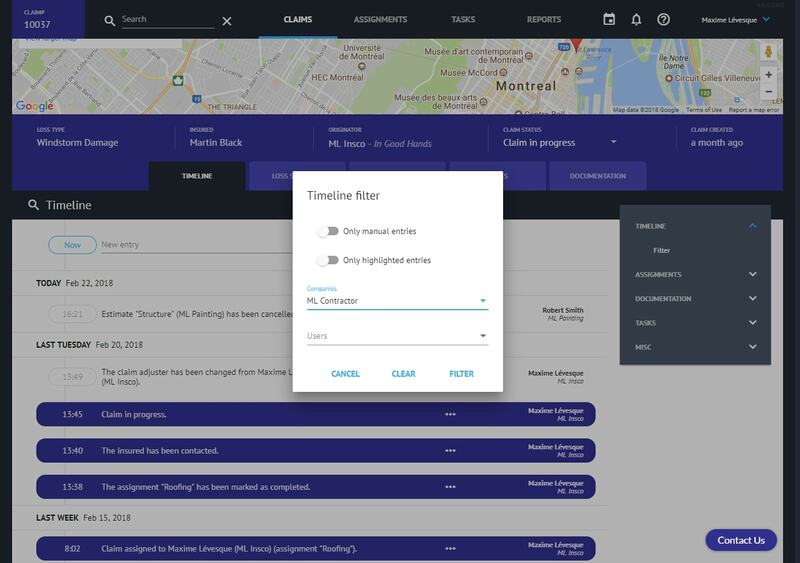 The all new Timeline View not only gives you open access to see what’s already been done for a claim and by whom, but also allows you to filter to see key activities, specific actions that were taken, actions taken by particular people, and more. This will allow everyone involved to always be in-the-know and on the same page. 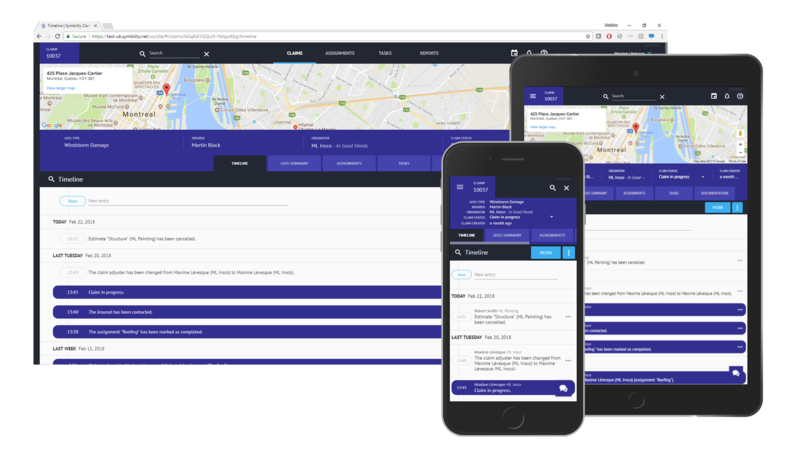 The new Claims Connect also allows for claims to be worked on from anywhere as it can now be accessed using any browser across any device. No more waiting to get back to a computer. You can now access Claims Connect where and when you need it the most. These are just a few highlights of the features that have been launched as we invite you to try the all new Claims Connect in our open beta program today. We’re really excited about this all new Claims Connect and think you will be too. Just click here to try it out today for yourself and see what it’s like to have more clarity around your claims process.